I love gingerbread. I love cookie cutters. 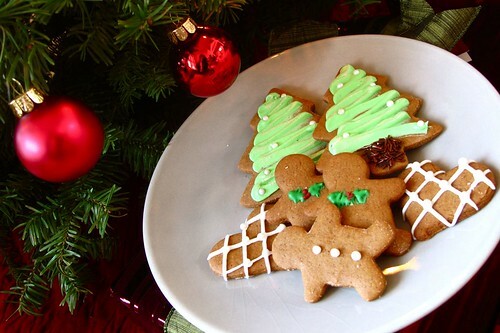 I especially love making gingerbread cookies for Santa Claus. I love gingerbread houses. I especially love gingerbread houses that are only 2 inches tall. 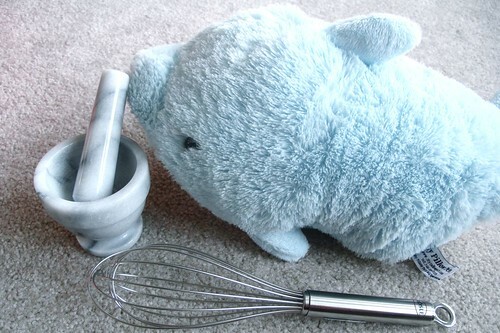 Pretty much all of my Christmas presents were food-related which was fine by me! 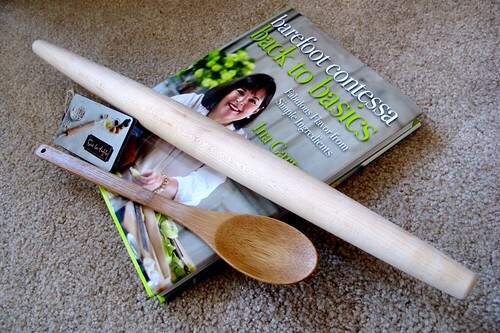 My mom gave me an Ina Garten cookbook and rolling pin. My mom gave me the french rolling pin a few days early and although designed to roll out pie crusts in a perfect circle, it worked great for making thin crisp gingerbread cookies--just the way I like them! To make the cookies, I used Martha Stewart's recipe for gingerbread snowflakes. I halved the recipe and added less than half of the brown sugar so they wouldn't be as sweet. I love this recipe! I made it at least three times over the past three weeks of Christmas break. Although I used Christmas-themed cookie cutters, these cookies could definitely be consumed year round. Just use differently shaped cookie cutters. I rolled the dough out so thin the last few times I made them, they turned out more like movorian (sp?) 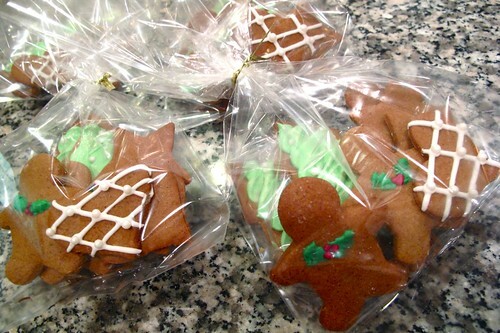 spice cookies than gingerbread cookies. So delicious! 9. let cool and decorate as desired! As Christmas approached, I made some to give as gifts to friends and neighbors. I was so happy just looking at them perfectly packaged on the kitchen counter. So Christmasy! 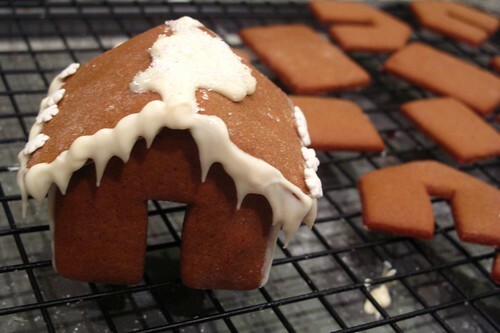 I have always wanted to make a gingerbread house but I always felt like it would require me to make a lot of dough, it would require a lot of work, blah blah blah. So I never got around to it. 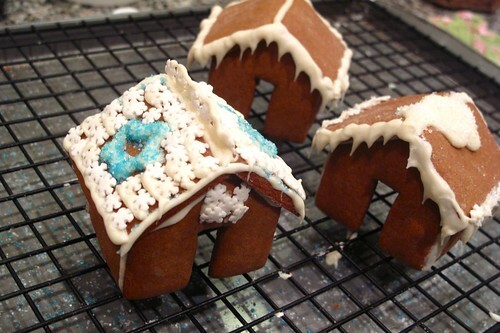 Finally, this year, I stumbled upon a post on tastespotting that featured little gingerbread houses that sat on the rim of your cup. I thought they were so cute! I had to give them a try. Here they are! Guess who made the eccentric blue-sprinkles gingerbread house? I can see your reflection in the red ornament! Mua ha ha. Hahaa I definitely saw those gingerbread houses on tastespotting. Very cute.